The Moon By Night is the second book in Madeleine L’Engle’s Austin series, occurring roughly two years after the events of Meet the Austins. Vicky, who was then twelve, is now fourteen, and experiencing the typical doubts and growing pains associated with adolescence. In addition to her personal changes, she’s also forced to confront some serious family upheaval. Uncle Douglas has, as predicted by the family in Meet the Austins, married Aunt Elena, and Maggy, the orphaned girl who has been staying with the Austins will now move in with Elena and Douglas, who are her legal guardians. The rest of the Austins will move as well, from Thornhill, their childhood home, to New York City, where Mr. Austin has found work as a doctor. Before heading for the city, however, they take a road trip to Laguna Beach, California, where Douglas, Elena, and Maggy will make their new lives. On the way, the Austins visit well-known attractions like the Grand Canyon and Yellowstone, make the acquaintance of a snide and sickly young man named Zachary Gray who does his best to woo Vicky, and share in surprising adventures involving everything from bears to flash floods. Vicky also makes her own internal, spiritual journey, as she begins to come of age. The reference to “muffins” comes from the Anti-Muffins chapter in Meet The Austins, but is also briefly explained in this book - probably due to the fact that "The Anti-Muffins" was removed from the original text and replaced later on. I love L’Engle’s understanding that a teenager can love her family and still want to be apart from them, and I loved the philosophical nature of the idea that “you just stop being you” in the presence of others. I can recall having feelings such as these at the age of fourteen, but I never had words for them until now. I also really like the way the road trip provides opportunities for the Austin family to see how the outside world looks at them, and how they differ from families and groups in the rest of the country, and even outside of their country. Zachary, for whom all the Austins except Vicky feel little affection, is the most threatening example of this, because he embodies a fatalistic outlook that the Austins have never really considered or encountered. Other characters pose similar puzzles, though - especially the “hoods” who harass the Austins at one of their first campsites and some Canadians they meet who have decidedly negative opinions of American tourists. The point was that now I knew it didn’t matter whether or not I understood. It didn’t matter because even if I didn’t understand, there was something there to be understood. There are some things about this book that unquestioningly date it to the 1960s - the concern over impending war, Mr. Austin’s dislike of women wearing pants, the fact that Grace Kelly is still alive - but the themes are as relevant to fourteen-year-olds - and to adults, too - now as they ever were. This review, though already on the lengthy side, really only scratches the surface of what this book has to offer; I have no doubt that future re-readings will shed light on layers and connections that didn’t surface for me in this first reading. I very highly recommend The Moon By Night, especially to people of religious faith. It’s also a great summer vacation story, and the perfect book for quirky kids who often find themselves on the margins, even of their own families. Abigail, Bainbridge, Calandra, Dagwood, Eberhard, Faustine, Gardenia, Hannah, Ira, and Janthina Rosso come from a family with a lot rules. There's the rule about naming kids that leads to them having so many unusual ones. There are the rules about shelving books in alphabetical order, and always placing clean laundry on the bottom of a drawer to allow the clothes to wear out evenly. But the one rule every one of the kids wants to change is the "no pets" rule. 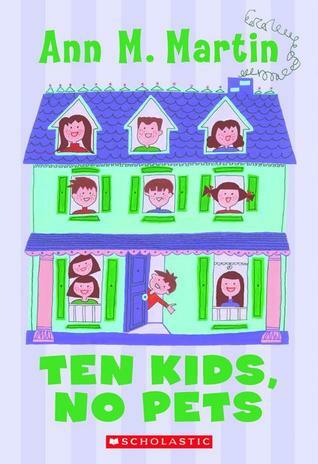 Ten kids is enough, Mrs. Rosso says, but that doesn't stop her children from trying their hardest to infiltrate an animal - any animal - into the family. I was drawn to this book in childhood because of my obsession with Ann M. Martin's Baby-sitters Club series, and my secret wish to have an army of brothers and sisters. I come back to it as an adult thanks to a friend of mine from work, who purchased a copy and then lent it to me. Interestingly, my childhood and adult reading experiences of this book differ greatly. I actually think the differences are greater for this book than for any other I've read for Old School Sunday. Another thing I apparently missed on my multiple childhood readings of this book was the now-obvious fact that every chapter involves an animal. What fascinated my child self was the size of the family, their freedom to wander the grounds of their new country home, and yes, their strange names and nicknames. Apparently, this fascination caused me to ignore completely the kids' quest for a pet. Quite frankly, both as a child and as an adult, I didn't care whether they ever got the pet. I was much more interested in their family dynamics. I can't believe I missed the obvious attempts of the kids to find and keep a pet, since that is clearly the point of the story - but I can't say I'm surprised. I often missed the point of books I read in childhood. The third surprise for me was the fact that the story is not told by the kids in descending age order. I was sure the kids appeared in the book in alphabetical order, but this is not even close to being true. Abbie is first, but the orderly progression ends there - and thank goodness! I'd hate to start diagnosing Ann Martin too. This book is somewhat dated - mainly because of its references to record and tapes - but by no means completely irrelevant. Desire for a pet and schemes to acquire one occur in generation after generation, and today's kids are as likely to understand it as kids my own age were back when I first read it (1991 or so). It's also a great book for kids like me who have one sibling but wonder now and then what it would be like to have eight more. In that sense, it's a nice read-alike for The Penderwicks, Cheaper By the Dozen, The Sisters Club, and other sibling-oriented tales. Also, there is a sequel, Eleven Kids, One Summer, which I'm planning to read very soon. Both are out of print, but not very hard to find in used book stores, in libraries, and online. This third installment in the Swallows and Amazons series is a bit of a deviation from the first two. Unlike Swallows and Amazons and Swallowdale, it does not follow the Walkers and Blacketts on a real-life adventure. 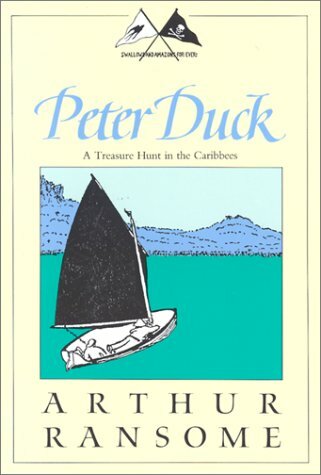 Instead, the story comes from their own imaginations, as they spin a tale about an old sailor, whom they name Peter Duck, and a treasure hunt in a real sailing ship christened The Wild Cat. Their imagined adventure includes many of the things involved in their make-believe in the other books, such as enemy ships, dangerous pirates, camping alone on an island, and steering a ship through a storm. I really was not crazy about this book when I first started reading it. I felt very distanced from the characters, after becoming so attached to them in the earlier books, and I found the separation of these imagined Walkers from the “real” ones to be very jarring. I was actually thankful for each footnote Nancy, Roger, and others provided, because it gave me a much-needed glimpse back into the “real” narrative. The latter half of the book did pick up quite a bit, and once I was invested in the excitement of the adventure I stopped worrying about the lack of continuity between this story and the ones before and just enjoyed seeing everything unfold and come together. One thing I really like is the way Ransome maintains the sense of safety and security established by Swallows and Amazons and Swallowdale. Though many truly dangerous situations arise in Peter Duck, the Walkers and Blacketts are never in the line of fire, so to speak. Allies and enemies created in their imaginations take a few bullets and blows, but the Swallows and Amazons themselves mostly enjoy the ride with few real problems. Instead, their focus is on the experience of living and working aboard a real ship, and on their imaginary friend, Peter Duck. I’m glad I didn’t skip this book because the writing is quite lovely, but I’m also glad to be done and ready to move onto the next book, Winter Holiday. 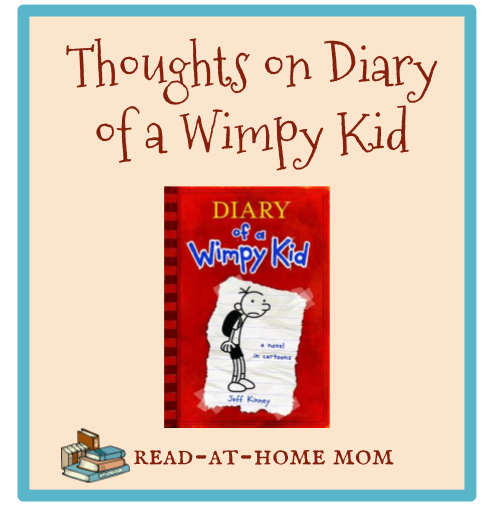 Earlier this Spring, I read through the entire Diary of a Wimpy Kid series in about ten days, and I have to say that, taken together as a series, the books aren’t quite what I expected. 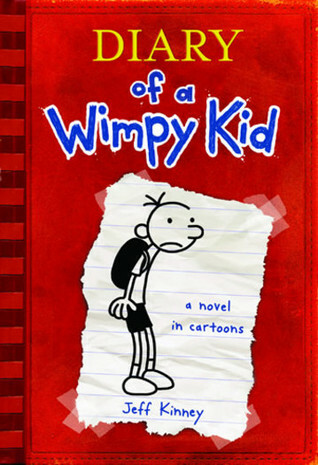 The main character, Greg, begins the first book as the wimpy seventh grader we all know and love. He’s awkward and out of place. His best friend is still very much a child, while he’s looking anxiously toward teenhood. His older brother, Rodrick, is a huge bully, and his parents are comically out of touch, and focused mostly on his little brother, Manny. Greg is a bit sarcastic, but he’s funny, and the mood of the entire book is mostly light, poking fun at the annoyances of middle school without getting too bogged down in negativity. As the series progresses, though, Greg Heffley stops being cute and morphs into someone who is anything but a wimpy kid. By the sixth book, Cabin Fever, I ran out of excuses for his behavior and started wondering why anyone wants to read about him, let alone spend time with him. The fact is, Greg Heffley is kind of a jerk. For one thing, his treatment of Rowley - and the fact that Rowley always comes back for more - is a huge problem for me in these books. The reader hears Greg discuss bullies again and again. His older brother bullies him. Bigger kids at school bully him and other smaller kids. But the biggest bully of the entire series is Greg himself! He uses Rowley for his own purposes, and then just as easily tosses him aside when he doesn’t need him. And we never see anyone comment that this is wrong. Rowley does stand up for himself now and then, but it never seems to take, because he’s always right back there, showing up on Greg’s doorstep with cookies, or bailing him out of trouble. And worst of all - the books often use these moments to poke fun at Rowley. We laugh so much at Rowley for being such a nerd, and so babyish in his behavior, and the end result is that we glorify Greg’s bullying, while still vilifying bullies who pick on wimpy kids. And it’s not just Rowley who elicits this jerky kind of behavior from Greg. He treats his family disrespectfully. He doesn’t take his schoolwork seriously. Often it seems like he is not even trying to improve himself, or to do the right thing. And I think that’s what has made me actually start to dislike him. Most heroes in children’s books are appealing because they have some innate good qualities that keep readers rooting for their success. The Dork Diaries series has a main character who is not always on her best behavior, but who is constantly trying to break out of the patterns that cause her problems. Dear Dumb Diary’s Jamie has a pretty abrasive personality, but it’s always easy to see that underneath it all, she wants to do well and to have friends and to be happy. Even a character like Horrible Harry has a sweet side, and his anti-social behavior can be explained by events from his life. But what do kids see in Greg? Are they amused by him because his behavior is so over the top and unlike their own? Do they think of him as wimpy, or do they realize Rowley is being mistreated, and that this isn’t okay? I don’t like to criticize books for setting a bad example. Good behavior is usually boring to read about, and kids don’t automatically start doing things they read about in books. Kids who read a lot of books get exposed to a lot of different points of view, and usually they have their own opinions about right and wrong, which are informed by outside forces and then imposed upon the books. But children’s books also provide a lot of cues on how to read certain characters that help us know who are the villains, and who are the heroes, whose behavior society accepts and whose is reprehensible. My issue with Diary of a Wimpy Kid is that the cues lead us in a dubious direction. We receive the message that one type of bullying is wrong, because we call it bullying, and another type is okay, because we don’t call attention to it. I think the bottom line is that Greg’s attitude is getting old. The success of a story is often defined by how a character grows and changes. I don’t see a real story arc for Greg. The jokes have grown stale, and what used to be funny now reads as a sad testament to immaturity and an unwillingness to start growing up and accepting responsibility for one’s actions. Middle school is a time of great change, and I think the books become less believable and less interesting with each story that comes and goes without Greg growing even the tiniest bit. My hope is that Diary of a Wimpy Kid fans recognize that Greg is not a role model, and that they don’t internalize the mixed messages. I also hope that teachers, librarians, and parents, take the opportunities the books present to discuss some of the issues I’ve mentioned and to work on better, more practical, and more realistic solutions to the problems Greg faces. Kids read these books for entertainment, and there’s nothing wrong with that, but that doesn’t mean it would hurt to remind them of that line between fiction and reality and to teach them how to think critically about Greg's behavior and its consequences. Like Dear Mr. Henshaw and P.S. Longer Letter Later, Same Sun Here is an epistolary novel set in 2008, which is told entirely in correspondence between two randomly assigned pen pals - Meena, an Indian immigrant living in New York City, and River, who lives in Kentucky, where his father is a coal miner. 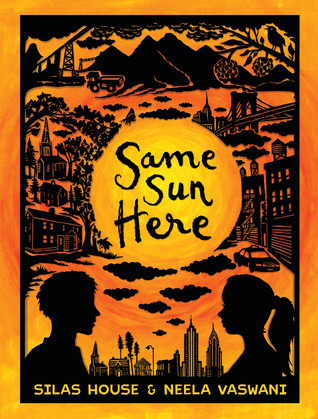 Though different in many ways, Meena and River find that living beneath the same sun gives them lots in common - including their love for their grandmothers, their love of writing, and their willingness to open their lives to one another. River turns to Meena for support when mountaintop removal threatens his hometown, and Meena, in turn, confides in River about her family’s illegal living arrangement and their efforts to become citizens. Ultimately, though they never meet face to face in the book, the two become best friends, demonstrating the ideal that our differences can bring us together rather than keep us apart. For the most part, reading this book was really enjoyable. I have always loved stories told through documents and letters, and I like the deep level of character development that comes from this format. The characters know nothing about each other, so every letter gives a little more insight into their unique personalities, which helps the reader get to know them, too. I also learned a lot about immigrant culture in New York, rent control, mountaintop removal, Appalachian culture, and Indian language, food, and customs. It was interesting to see how the introduction of each new idea helped to shape and reshape Meena’s opinion of River, and his of her. My criticism, though, is that this happens too easily. Meena and River are at times irritatingly good kids, whose minds are always open, and whose every mistake is immediately corrected. At times, they do fight in their letters, but they are both portrayed as so level-headed that it doesn’t take much time - at least not in the narrative- for their friendship to bounce back. I also had a hard time understanding why they thought of each other as best friends so quickly. I thought part of the point of the story was going to be that over time, two different kids can become best friends because they come to a mutual understanding of each other’s backgrounds and beliefs. Instead, that close friendship came on suddenly, and the deeper level of understanding came later on. That just seemed somehow backward to me. The value of the story, though, is that it undermines the instant gratification of modern technology and argues for the relevance of writing meaningful messages to one another and waiting anxiously for the replies. In a world where friends text more than they talk face to face, it’s important for kids to see the importance of those deeper conversations that bring unlikely pairs closer together and help each of us understand, on the larger scale, how we’re all connected by our experiences as humans. This book obviously has an agenda and a particular political point of view, which promotes activism, criticizes government, and laments society’s unfairness toward marginalized groups. There’s nothing inherently wrong with that except that sometimes - especially in the latter half of the book - the agenda overpowers the story. River performs an act of defiance that puts him suddenly in the spotlight in a way I found irritating, and from then on, his story takes center stage, while Meena’s ends uncertainly and without fully satisfying the reader’s curiosity. Despite these flaws, though, I think the book is very thought-provoking and will start up a lot of wonderful conversations for classes, book clubs, and families who read it as a group. If nothing else, it drives home the point that none of us is so different that we can’t make a connection, if only our minds and hearts are open to reaching mutual understanding and respect. I’ve given myself the task of reading all of Madeleine L’Engle’s Murry-O’Keefe and Austin novels in their original publication order. I don’t promise to read all of them this quickly, but I read through the entirety of A Wrinkle In Time in one afternoon. This was my second time reading it, but it’s been 5 years or so since the first time, so much of it felt new again. The story, as most children’s literature readers know, is of awkward, plain adolescent, Meg Murry, and her quest to find her father. With the help of strange beings known as Mrs. Whatsit, Mrs. Who, Mrs. Which, the Happy Medium, and Aunt Beast, and a popular boy from school named Calvin O’Keefe, Meg tessers through time to find him, face her own feelings of inadequacy, and bring him home. This is the first science fiction novel I read, when I was forced to explore the genre in library school, and therefore it’s the first book that made me realize how interesting it can be to combine ordinary, everyday occurrences with the possibilities posed by scientific speculation. This book is especially significant for me, because it explores that science through a religious and spiritual lens. Madeleine L’Engle imagines a God-infused universe, in which everything has meaning, and everything communicates, but not always in terms humans can grasp. She also recognizes, above all, the power of family, the struggle to accept oneself, and the fact that sometimes, our weaknesses can become our strengths. 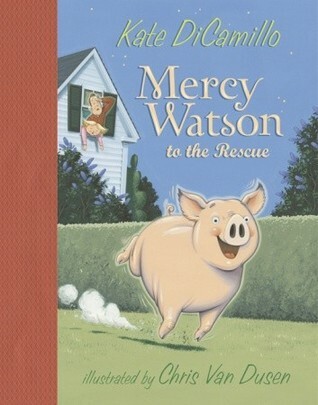 I think the reason the book is so popular, and cited so often as a childhood favorite, is that kids really relate to Meg’s feelings of plainness and insignificance, and that they see themselves in her actions and hope they, too, could rise to the occasion in the hour of need. It also has hints of adventure and romance that pull in readers of those genres as well. Another thing I really liked, which I noticed mostly because I read Meet the Austins and A Wrinkle In Time back to back, is the number of similarities between these two books. Both focus on families where a father has gone away - Maggy’s is dead, Meg’s missing. Both involve a close brother-sister relationship. Meg’s affection for Charles Wallace very closely mirrors Vicky’s for Rob. I also noted that Meg’s mother is a scientist, while Vicky’s dad is a doctor, and that John Austin and Meg both fret quite a bit about fitting in at school and finding a way to feel good about their strangeness. The Tesseract, a website devoted to L’Engle’s life and work includes on its FAQ page the question, "What is Madeleine L'Engle's personal philosophy?" Part of the answer provided by site author reads, “What kinds of evil do her characters fight, and who fights them? How do her characters feel about family, God, friendship, love, and being themselves? 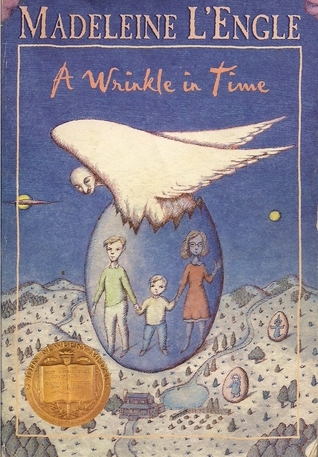 These are all clues to the philosophy of Madeleine L'Engle.” I think the recurrence of the same themes in A Wrinkle In Time as in The Austins represents L’Engle grappling with these very questions, telling the same story from different angles in an effort to get at the truth. Madeleine L’Engle was truly an original writer. I love her worldview, her writing style, and her religious curiosity, and I suspect some new favorites are waiting for me in this L'Engle-themed to read pile. 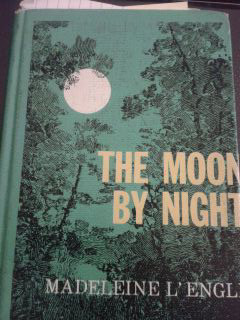 Next up is The Moon by Night, the second book about the Austins. Sasha Zaichik is ten years old, and ready to become a Young Pioneer. He is devoted to Stalin, and proud of his father, who works for the secret police. He blindly accepts the socialist teachings of his society, and sees nothing unusual in his communal living arrangements, or the harsh punishments doled out at school to punish the children of Stalin’s enemies. Sasha’s sense of security is greatly challenged, however, when his father is arrested on the eve of the Young Pioneers induction ceremony, and Sasha himself accidentally breaks a statue of Stalin in the school hallway. Slowly, the truth about Stalinist Russia begins revealing itself to Sasha, forcing him to make some serious decisions about who to trust. This book is small and short, but very powerful. The most remarkable thing about it is the author’s ability to immerse the reader in the naive mindset of a child raised in a socialist society. It can be hard for kids to connect with history in a personal way because textbooks are written in such dry, analytical language. This book teaches kids everything they could want to understand about living under Stalin, but it does so by appealing to emotions and experiences, rather than listing a litany of facts without context. Yelchin really drives home the fear and unfairness of totalitarianism by showing the way kids in Sasha’s school are punished, even for the smallest accidental infraction, such as knocking over a statue. I was absolutely riveted by the entire story, and worried, as events progressed, for Sasha’s future. I’m really thankful to the Newbery committee for recognizing this book because otherwise, I’m certain I would have missed it. There aren’t many historical fiction novels out there that expose kids to the darker side of humanity, and this one’s honesty is much appreciated. I also noticed that Yelchin used humor very carefully, but very effectively, to keep hope alive for the reader, even in very dark and disturbing moments. 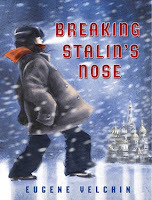 Breaking Stalin’s Nose is very well done, and will appeal to kids right up through their teens.